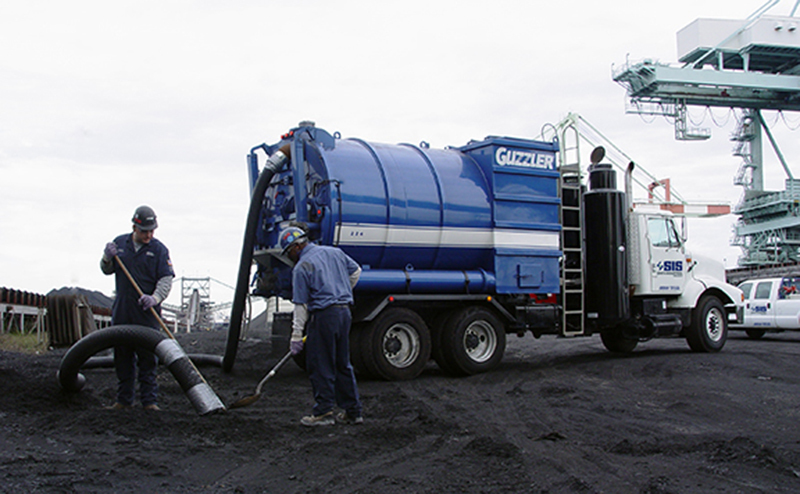 SIS uses Guzzler Vacuum Equipment for clean-up of materials from areas such as ash pits, tanks, sumps, boilers, conveyor belts and all types of vessels. Guzzler is the leading manufacturer of this type of equipment and provides production that is second to none. This unit has high-volume blowers delivering up to 6000CFM with 28 inches of vacuum.